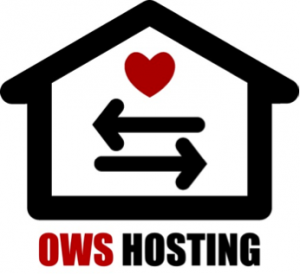 fD Board members Martin Rosengaard and Todd Lester have partnered with the S17 Support Group to set up a hosting system in New York city for Occupy Wall Street’s one-year anniversary weekend: Host an Occupier. The Anniversary of Occupy Wall Street is upon us. Organizing work is nearly complete as cities across the country and the world prepare to celebrate the progress of our first year in the fight for economic justice. A “Festival des Indignées” is being planned in Paris. An “Open Knowledge Festival” kicks off in Helsinki, Finland. Solidarity actions will take place throughout the city and village assemblies of Spain. Germany is planning an action on the Central Bank of Europe in Frankfurt. Assemblies & debates will be held in Rome and Florence, in Italy. And in New York, we’re taking the fight to where it all began – Wall Street. But we need your help! People can’t flock to New York for the birthday of the revolution without the help of hosts to welcome them to our city to stand with us in the fight. We want to be able to spread the call far & wide to flood the streets of New York on September 17th – but we want to make sure that we can provide food and shelter during the three-day convergence festival on the weekend leading up to S17. The volunteers at the OWS Kitchen is already hard at work getting ready to prepare thousands of healthy meals – but we still need help housing people who will travel long-distance to make it to New York to be with us as we celebrate the One-Year Anniversary of Occupy Wall Street. If you were in a position to help someone out, would you open your home to someone who answered the calling to stand up for economic justice and made the journey to New York to make their voices heard? People need a safe, warm place to sleep during their stay here – so they can be well-rested enough to take to the streets with a message of unity and solidarity with the 99%. Mutual Aid is revolutionary. If you think you can offer housing to an activist for the OWS anniversary convergence, get in touch with us. We will work with your individual needs and capabilities to find the right fit. We are happy to facilitate people helping people to build relationships and dream together to enact a better world today. Additionally, if you are coming to NYC to join us, please register here and let us know if you need housing. This September 17th is just the beginning! !